Much thanks to ARTISTRAVEL! 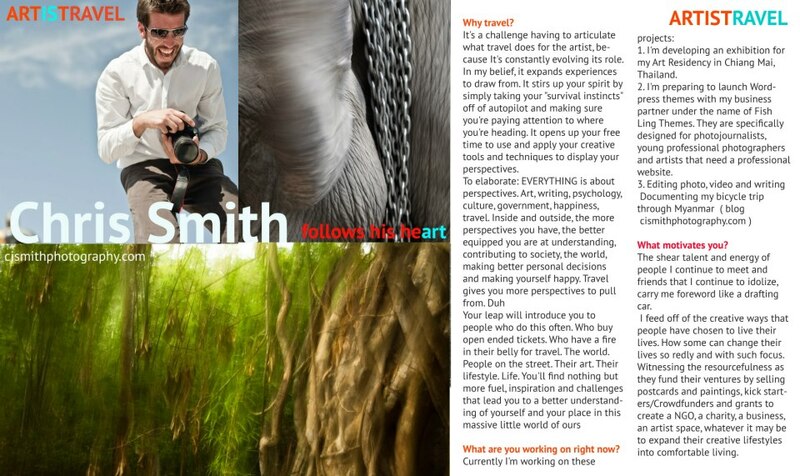 Who interviewed me for – you guessed it- Travel and Art. Valerie Parisius, who in herself is a source of huge inspiration (check her out on TEDx), interviews traveling artists from around the world. Instant pep-to-your-step for anyone needing a push out the door. Below is a snippet of the interview, where the full text can be found here. This entry was posted in Travel and tagged Artistravel, Interview. Bookmark the permalink.